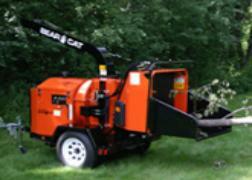 logs up to five inches in diameter. 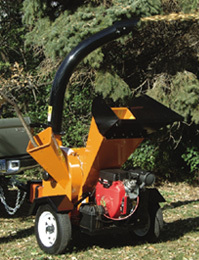 for truck, trailer or wagon loading. Powered by 24 hp Honda engine. 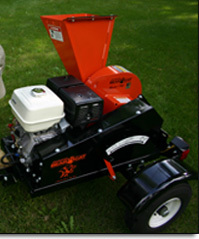 Towable model with trailer hitch. No blower, unit discharges on ground. material is dumped on the ground. See above left for options. model with trailer hitch. 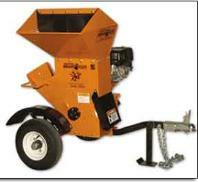 6.7"
powered 36" x 35" loading chute. 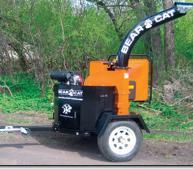 Bear Cat chippers are designed to chip branches and logs. 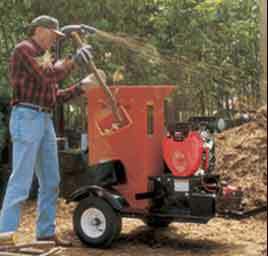 machines drop the chippings and shreddings directly on the ground. hopper Two inch ball hitch coupler. Maximum tow speed is 45 mph max.